For most of my walk with the Lord, I saw people asking for money. One day I’ll share it all, but for now just know that building this vision as a single mother while trying to fund two businesses and a ministry has been NO joke for me! I have learned so much about accessing supernatural provision along with practical business best practices that produce results…all the while asking God for money. As He has been teaching me about how to access the fullness of my supernatural inheritance, He shared something with me that changed everything. I share about it in this vlog. It is time to elevate your ask. 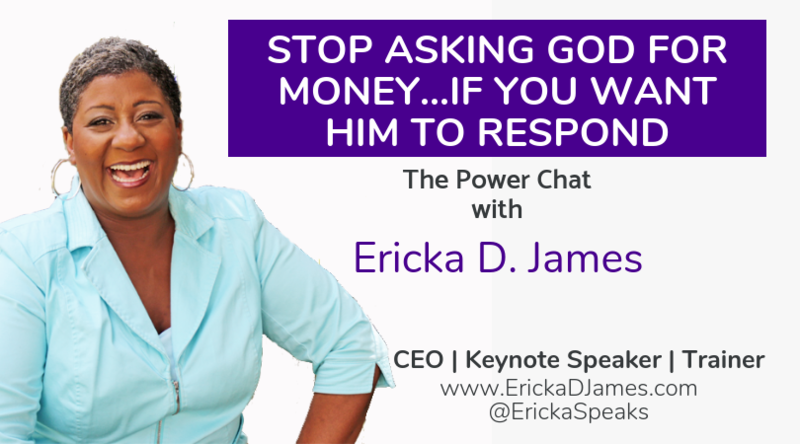 Learn how to truly get resources loosed supernaturally on the Power Chat. Enjoy! I totally agree with this message and this is confirmation to the desires of my heart. GOD WILL ALWAYS BRING HIS TIMELY WORD through someone or something. Thank you, for sharing. wow! I need to watch this again. Thanks for this word!